It work time in this worksheet! 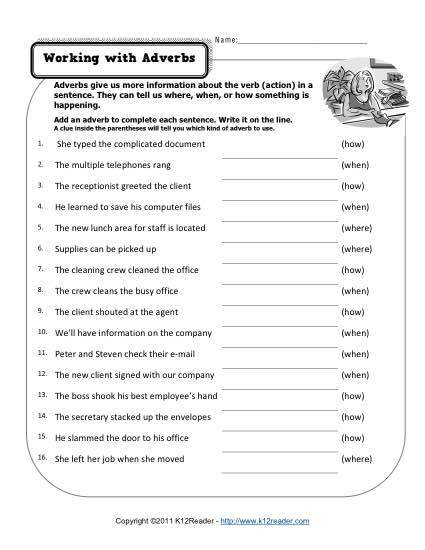 Each sentence needs an adverb, either one that tells how, when or where. Your student will add the appropriate adverb. Ideal for using for 2nd and 3rd grade Common Core Standards for Language, other students may also find it helpful.